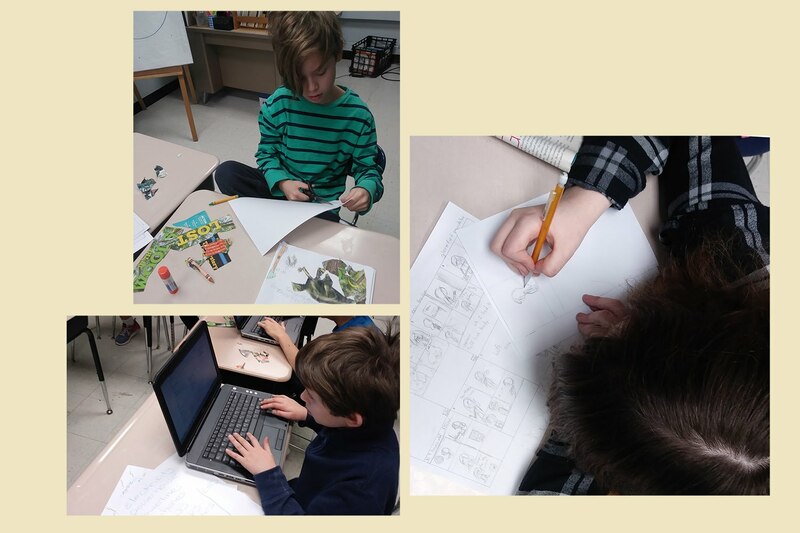 Funded by a CFEE grant, sixth graders at Orange Avenue School put together their own “zine,” or personal magazine, stocked with stories and articles they had produced themselves—and gained new belief in their own literary abilities in the process. Students who doubted their own skills “have become more motivated and confident” by developing their stories and seeing them published, said the students’ teacher, Thais Jackson, a special education/language arts teacher who applied for the grant. such as electricity and dinosaurs—or favorite hobbies and games. Seven students took part in the project, which began with the 2017-2018 school year. They . worked hard, diligently critiquing and revising their work and striving to overcome their individual learning challenges, Jackson said. Some of the students read their pieces aloud at a book release event, held at the school on Jan. 12 and attended by school staff and the students’ family members and peers. The book will also be given to Cranford schools’ libraries to encourage other struggling learners.